On March 16, Miami University’s PRSSA chapter was honored to host five public relations professionals who shared their knowledge and personal experiences with students about the communications industry. The PR pros provided helpful tips on improving résumés, portfolios and much more to get one step closer to landing that first job in the industry. 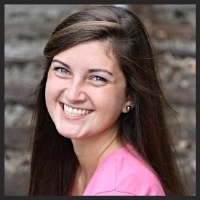 Paige Garty is a freshman strategic communications major at Miami University; she is from Medfield, Mass. The discussion was led by Shara Clark, who is a professor at Miami University and an adviser to Miami’s PRSSA chapter. The rest of the panel included Whitney DeMasters, communications specialist for Calfee Strategic Solutions; Peter Osborne, public relations director and senior content manager at Eric Mower & Associates; Rebecca Potzner, social media specialist for Game Day Communications; and Miami alum Lauren Doyle, senior account supervisor at Wordsworth Communications. The panelists were beyond helpful with advice that students in any major could use. PHASE ONE: Before you can get a job, you must have some valuable assets. And by assets I mean a solid cover letter, résumé and portfolio. The cover letter: This is the chance to share an experience or two that you were passionate about and relate it to the job you’re applying for. The résumé: When it comes to deciding between content and the design of your résumé, pick content every time. The portfolio: Diverse writing samples from blog posts to press releases to long-term assignments show the employer that you can do it all. Also, the interviewer may not ask about your portfolio, so try to integrate it into conversation. Remember, this industry is all about writing so any grammatical, spelling or formatting errors are detrimental. PHASE TWO: After you have crafted the perfect cover letter, résumé, and portfolio, it is time to start the search process, but where? PRSA: There are job banks on the national and local websites. Networking: Reach out to friends and friends who may know someone at a company or organization you’re interested in. Lauren Doyle’s go-to line for contacting unfamiliar people is to ask them to “grab a getting-to-know-you cup of coffee.” It’s simple and to the point. LinkedIn: A great way to connect with employers using social media, but keep in mind it is not like Facebook, so do not post anything you wouldn’t want your grandmother (or future boss) to see. The great thing about this website is that you can even post your portfolio on it. PHASE THREE: You’ve connected with numerous professionals on LinkedIn and finally someone has offered you an interview. Here are some do’s and don’ts on the interviewing process. o Have a solid handshake. o Know why you want to be in PR. o Only bring one copy of your résumé. Group interviews can and do happen. o Create a wordy résumé at Career Services and not know what is on it. o Be robotic. Show some of your personality. Peter Osborne said that showing you have entrepreneurialism is key. It is about having the drive to learn and contribute ideas; not waiting around for someone to tell you what to do. Osborne noted that people never stop learning, so having that passion is important to keep improving yourself in the workplace. POST-INTERVIEW: Searching for a job is difficult because you are in constant competition with everyone around you. When you return home after your interview, write a thank-you note. Not only does it show that you’re polite, but it helps the interviewer remember you. At the end of the session each professional was asked to give one lasting piece of advice. DeMasters told students to “be a joiner” and get involved, as it will open a lot of doors for you. Always maintain your flexibility and “have a plan… sort of,” says Doyle. It is important to be willing to divert away from your plan because you never know what will come along. Osborne preached that right now is an important time for students. We have the resources and opportunities to “get into different experiences and different types of work to see what you like,” he said. One piece of advice the professionals unanimously agreed upon is: Once you accept a job offer, do not decline other interviews. It is not guaranteed that the interviewer will offer you a job, so go to the interview and get some extra practice, make more connections and potentially get a better offer. Shara Clark, left, Whitney DeMasters, Rebecca Potzner, Lauren Doyle, Peter Osborne.